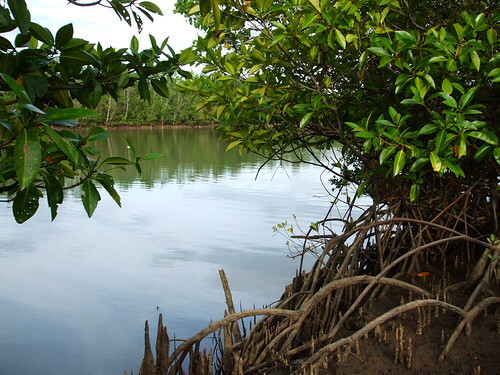 The Banacon Island Mangrove Forest is now an eco-tourist destination with an approximate area of 425 hectares of Mangrove Forest established through community effort that started last 1957. Under the Municipality of Getafe, located north of Bohol province, it is now considered as the biggest mangrove plantation in the country. This extensive mangrove plantation also has established scenic trails beneath overlapping and intertwining mature mangrove trees that are breathless to behold. 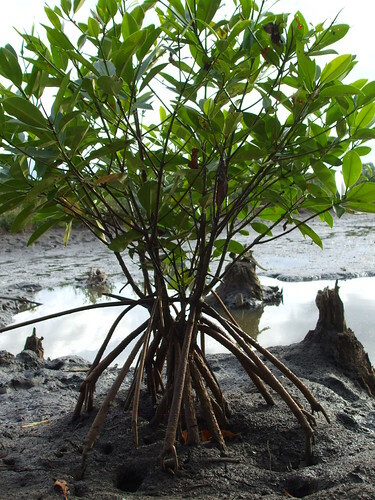 The trees are a monoculture of the “bakauan” (Rhizophora Stylosa), the most common mangrove specie found in the river systems, estuaries and off-shore islands of the Bohol province. 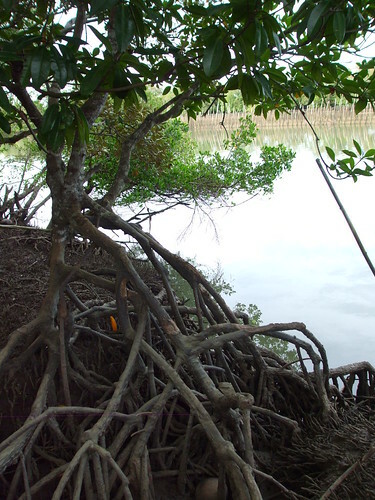 Rhizophora Stylosa is a genus of tropical trees that generally lives in inter-tidal areas which are inundated daily by the tides. All the Rhizophora species have arching stilt roots that emerge from the trunk. The scientific name means “root bearer” in Greek. These roots not only hold up the tree in soft mud, but are also permeable to gases, while remaining impermeable to salts. In fact, the entire upper root system including the trunk and prop roots that emerge from the branches have this feature. Thus the roots also help the tree to breathe. The tangled and intricate root systems of the bakauans provide shelter to hundreds of fish species that are native to the waters around Banacon Island. They also serve as critical spawning grounds or nurseries for the fishes, seahorses, shrimps, crabs and other marine life. 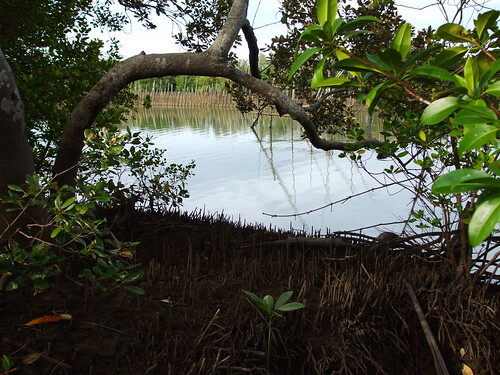 Likewise, the muddy waters around the mangroves are rich in nutrients from decaying leaves and organic matter and are the main source of food for the different marine species around the island. Of the 425 hectares mangrove forest in Banacon Island, 15 hectares are on dry land and 410 hectares are on the tidal flat area. 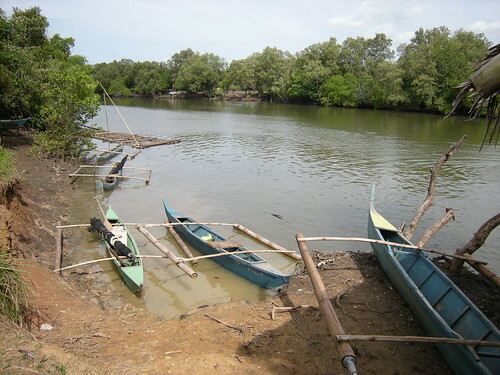 With the proliferation of these mangroves, fish production increased, including seahorses, as well as the natural stocks of blue crabs (Potunus pelagicus). At present, 196 families inhabit the island and are dependent on the mangrove plantations and foreshore marine resources such as shells, crabs, and other mollusks and crustaceans, blue crabs, shrimps and other coastal resources dependent on the established mangrove forest. It is also the main source of firewood and charcoal in the island, with the stems usually used as poles for fish traps or as housing materials. Banacon Island got its name from fish specie called “banak” or mullet (Mugil cephalus) which was once very abundant in the area before the proliferation of destructive fishing practices. Banacon Island is located in the town of Getafe, which is a 3-hour bus ride from Tagbilaran City. Upon reaching Getafe wharf, take a 45-minute pump boat ride to the island. Guided tours are provided by the Banacon Fisher folks and Mangrove Planters Association. Those interested may contact BAFMAPA President Dondon Canlubo at 0918-7368741. In the year 1950, Banacon Island was devoid of mangroves. Excessive cutting was done by a resident, a Mr. Pilot Camacho, who at that time held a mangrove concession permit which covers most of the islands of Getafe including Banacon Island. It was a dismal year for the islanders for they depend entirely on the mangroves for firewood, poles for their houses and for fish pens. 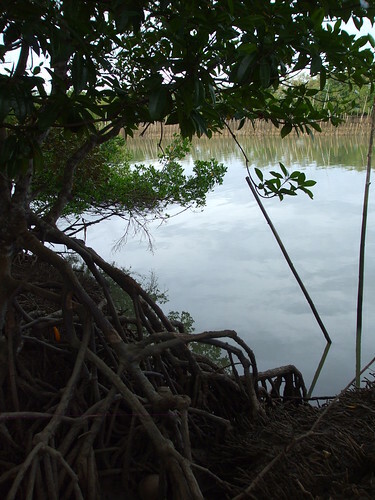 Due to the loss of the mangroves and coupled with illegal fishing, the fish catch dwindled as well as other marine species such as blue crabs, crustaceans, and others. Time came when another resident, Mr. Eugenio Paden, had a brilliant idea of establishing a bakauan plantation in the island in order to meet his needs and that of his fellow islanders. 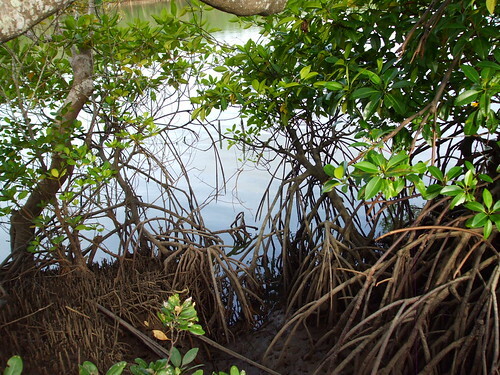 Paden observed that mangrove propagules that fell and got stuck in the mud eventually grew into mature mangrove plants. This gave him the idea that the bakauan specie can be directly planted or seeded. In 1957, he made the first step and established his bakauan plantation thru direct seeding of propagules. At first, his fellow islanders ridiculed him. Yet in time, in 1966, he started harvesting wood from matured bakauans and sold them as firewood or poles for houses. Income was coming in which encouraged his neighbors to start planting. Plantations were established. To facilitate mobility in the area, a 10-meter-wide “highway” was set-up in the middle of the plantations for motorized outrigger boats. Foot trails in between individual plantations were also established. Now, the island is known as an eco-tourist destination. The islanders themselves serve as guides whenever tours are made of the bakauan plantations. As for Mr. Eugenio Paden, his efforts earned him the Likas Yaman Award of the DENR in 1989 and cited as Outstanding Tree Farmer by the Food Authority Organization in 1991. The later gave him the opportunity to travel for free to Manila and Bangkok, Thailand where he received his award.